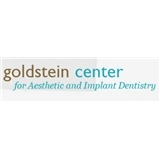 Goldstein Dental (Atlanta) - Book Appointment Online! I recently moved to the Atlanta area and am terrified of the dentist (to a point where I was considering flying to see my former one). Dr. Perlow and his staff were wonderful & I will definitely go back again. The office was beautiful, staff was very kind, and the appointment was quick. I felt very comfortable & appreciated their patience with me, given how nervous I typically am at dentist appointments.